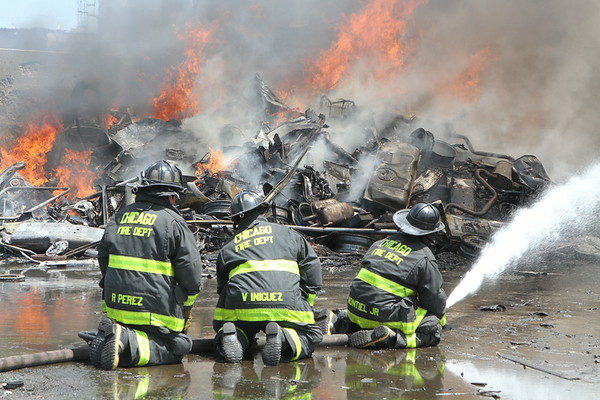 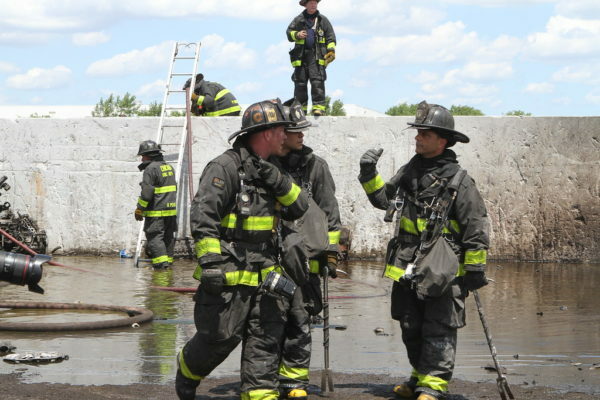 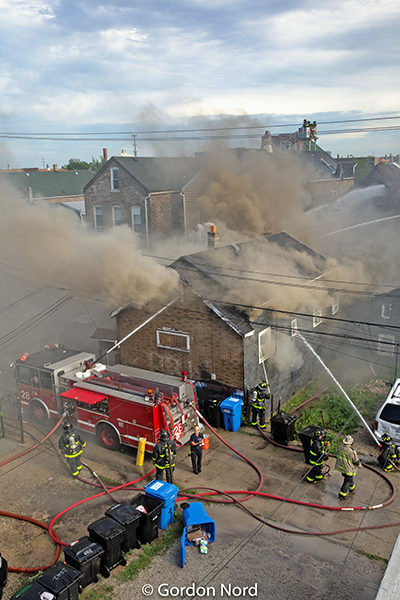 Chicago firefighters were dispatched to a fire in a building @ 18th and Kedzie (1817 S Kedzie). 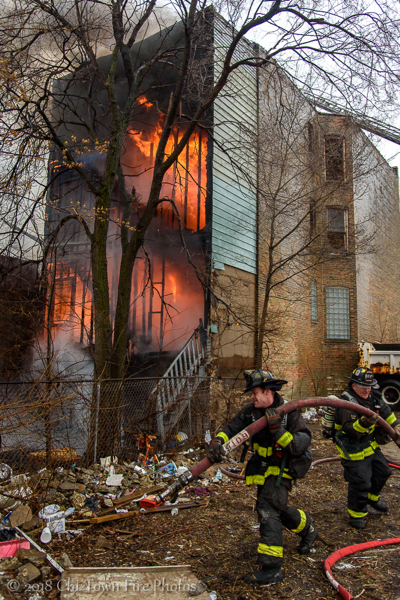 The 14th Battalion landed with a 3-sty vacant, totally involved. 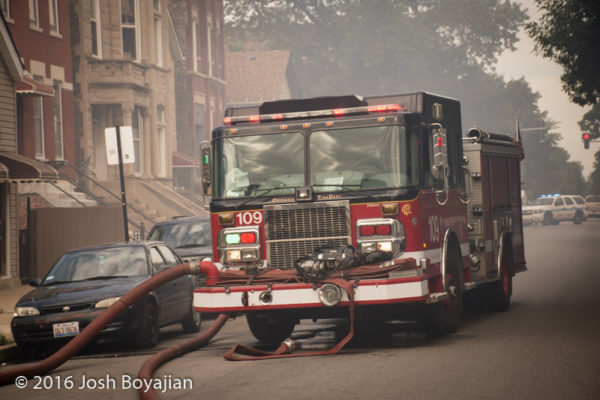 Engine 107 deck gunned the rear on their arrival while Engine 109 lead out on side A. 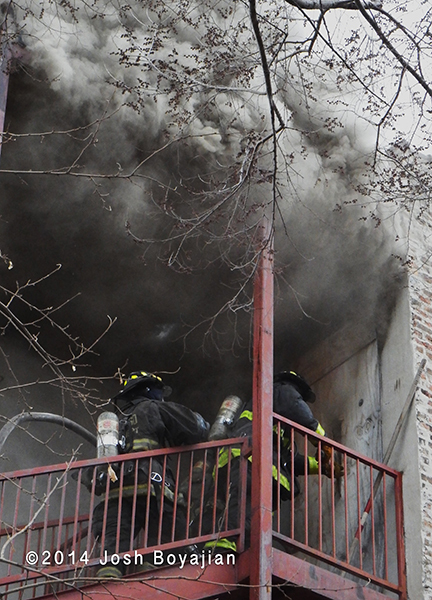 Shortly thereafter the 14th boxed it and was taking a defensive posture. 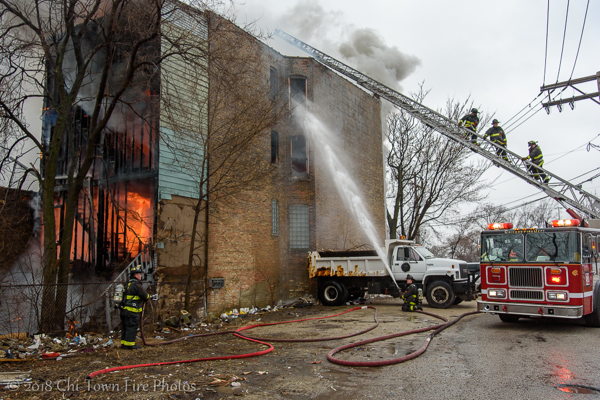 In total, multiple hand lines, Tower 5, Squad 1, and a couple point advantages were used to knock down the fire. 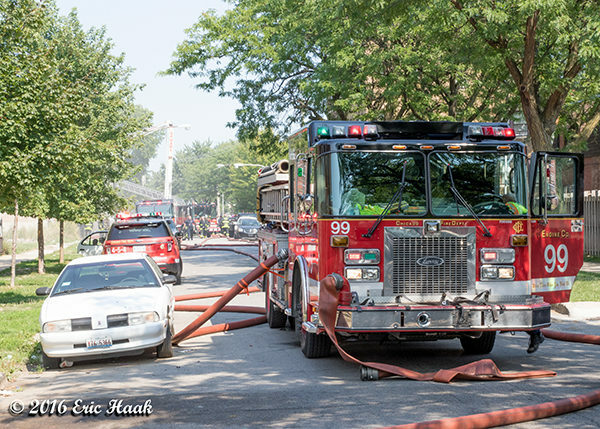 Shortly before 3:00 p.m. on Wednesday (8/3), the Chicago Fire Department was dispatched to the report of a fire at 3110 W. Fillmore. 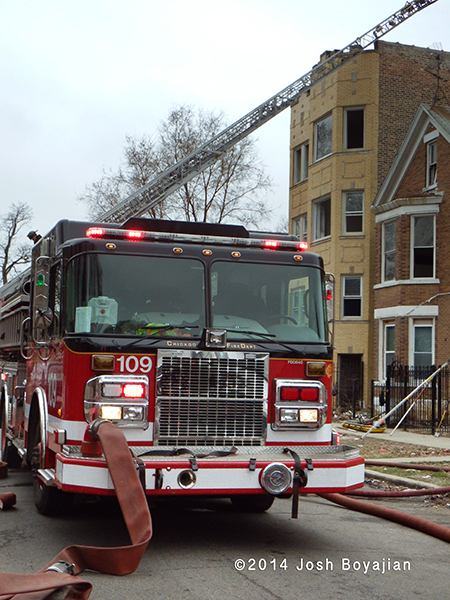 Responding companies reported a large header and a working fire response was then given. 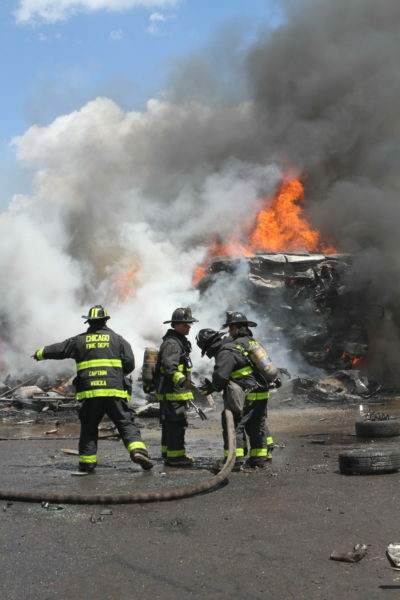 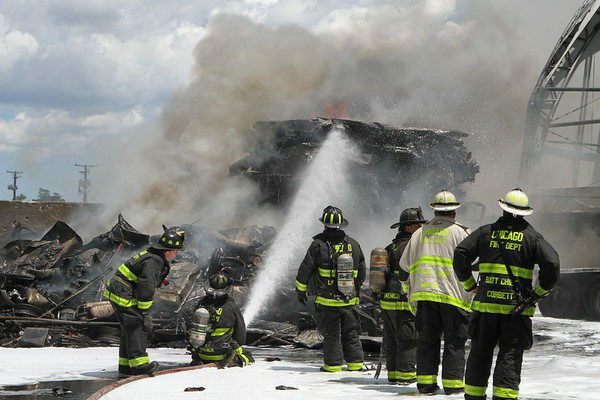 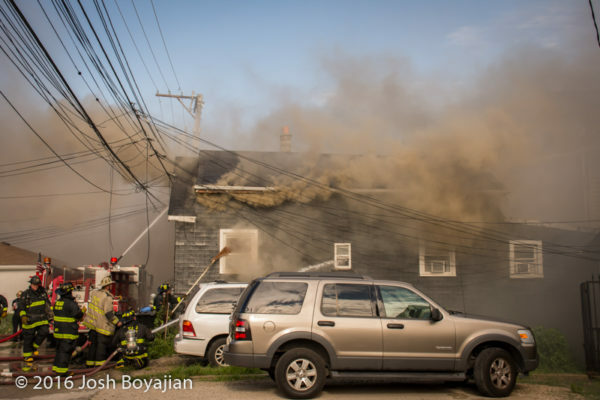 Engine 44 landed first and reported a fire in a one-story, commercial garage. 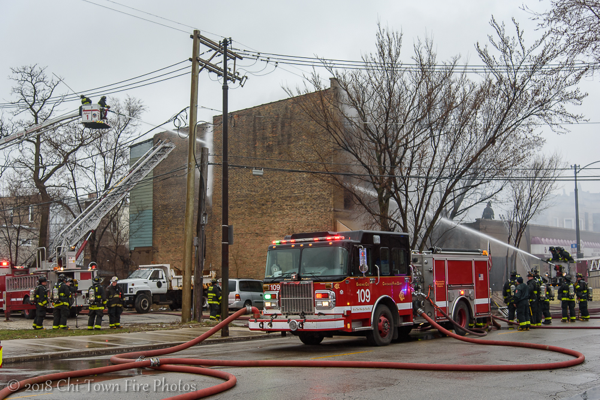 The fire building was less than a half mile directly down Fillmore from Engine 107’s quarters. 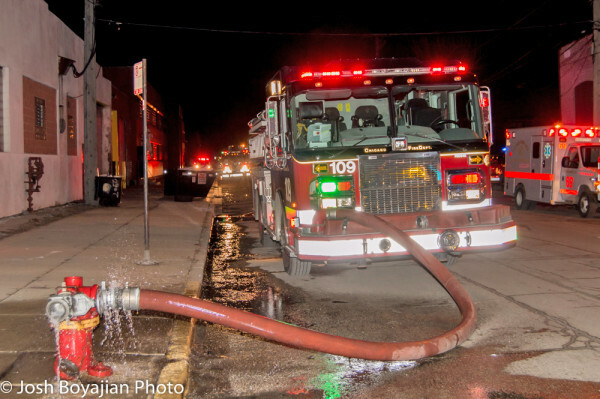 Engines 44 and 109 were the Still Alarm engines and 23 and 95 were on the box. 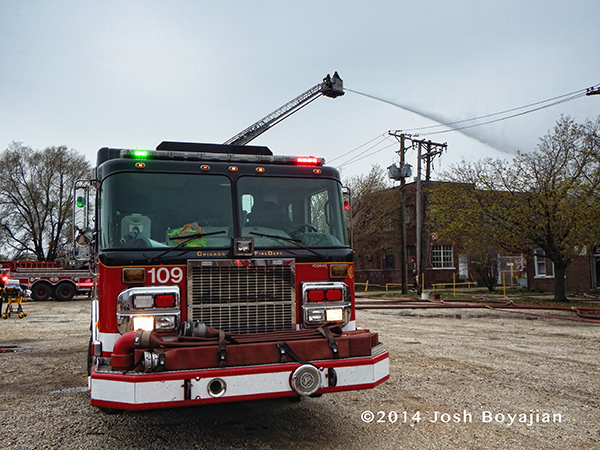 Engine 99 would also have a hydrant as well. 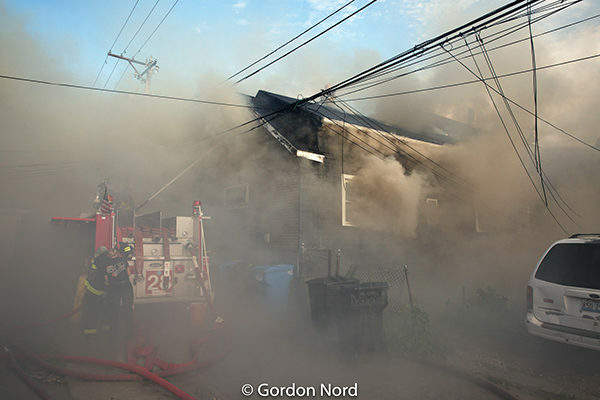 Battalion 14 requested a 2-11 shortly after arriving and gave a size-up of 1-story, 100 x 75, communicating to a 2-story ordinary, 25 x 50 with back porches and fire on the second floor. 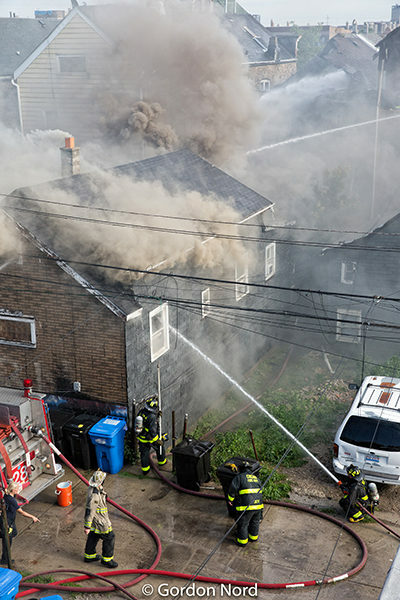 The first picture you see here was taken 20 minutes in. 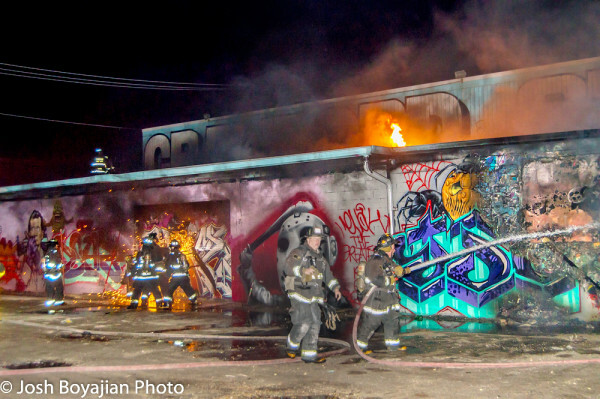 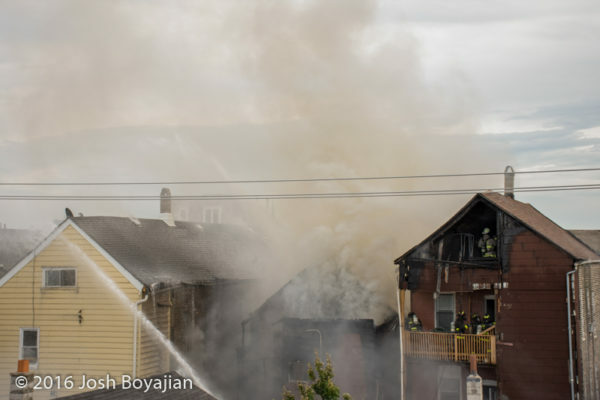 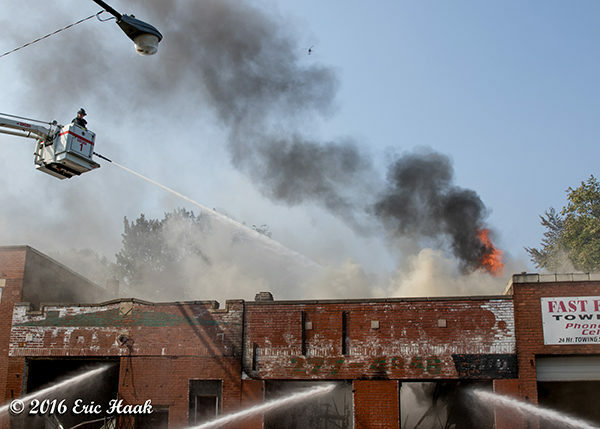 The fire actually turned out to be in two separate vacant commercial buildings in the center with some exposure to Eddie’s Towing which was largely spared. 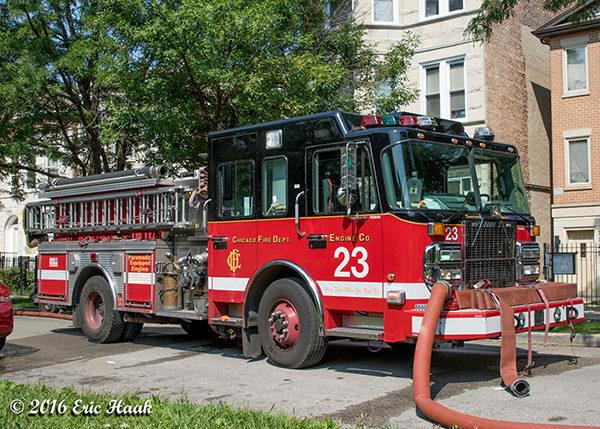 I heard Engines 5, 18, and 26 sent on the 2-11 so I don’t think 107 ever made it in. 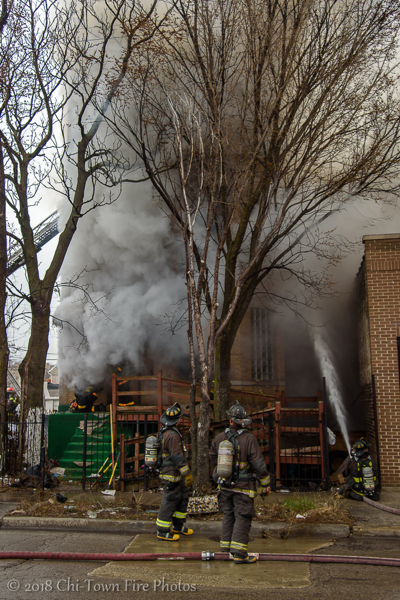 We took in a job at 3149 w 36th Place in Chicago last night (2/19/16). 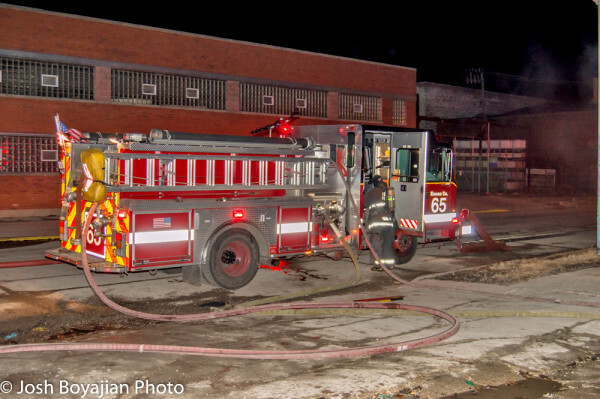 Engine 65 arrived on scene with a fire in a one-sty about 20×100. 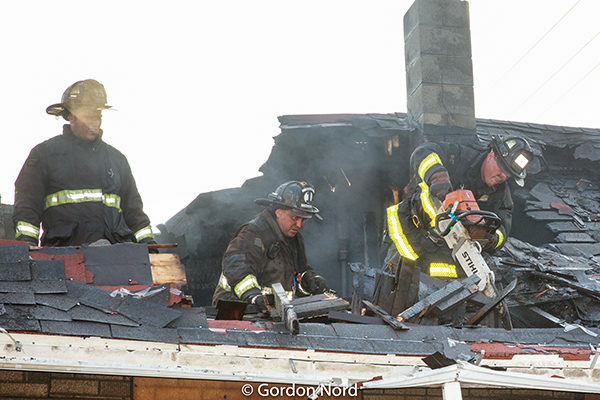 They had heavy fire conditions on arrival thru some windows and venting from the roof. 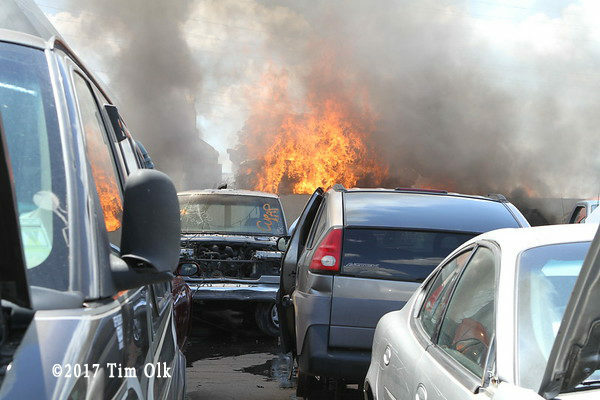 We arrived about 10 min into the fire. 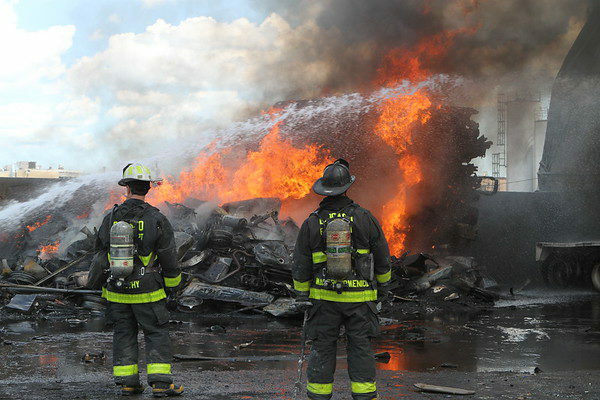 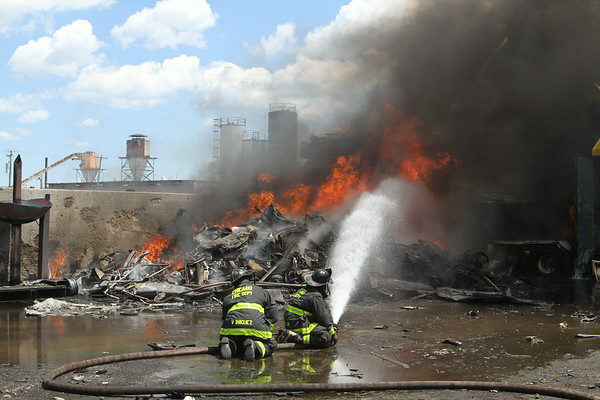 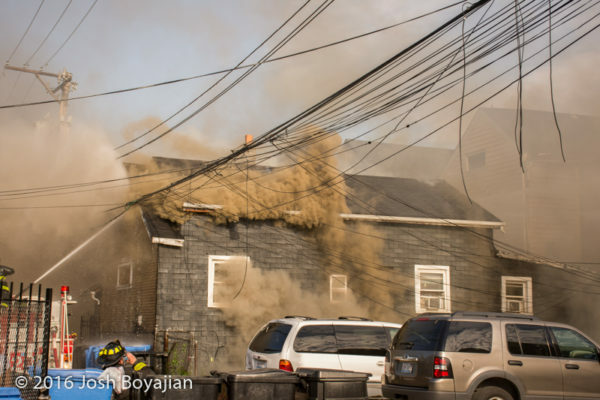 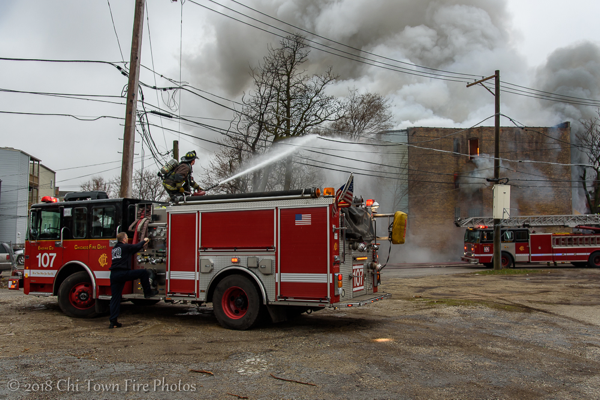 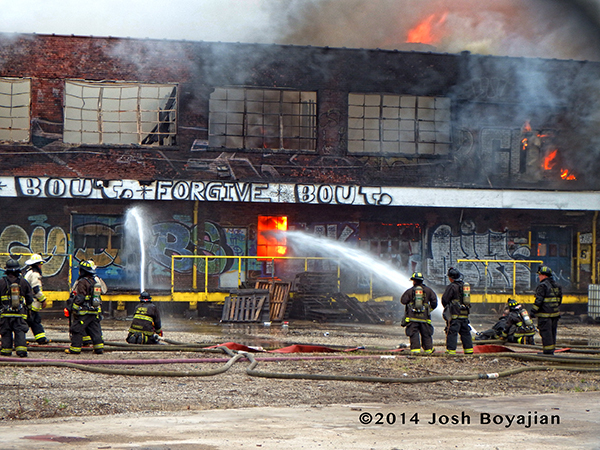 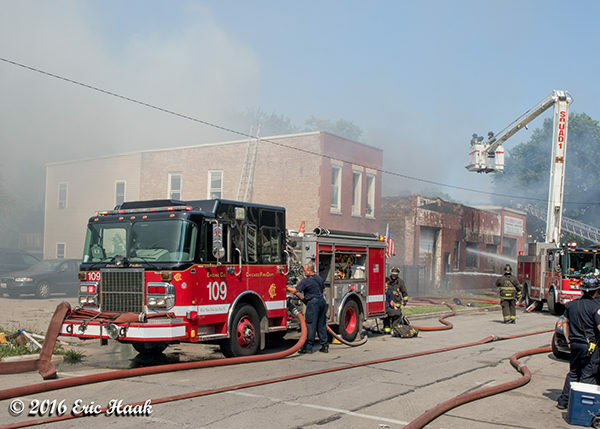 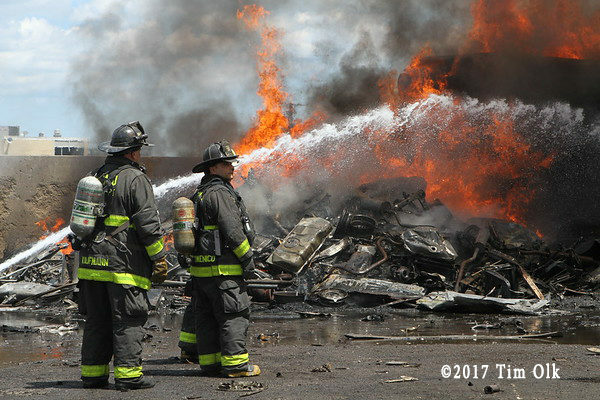 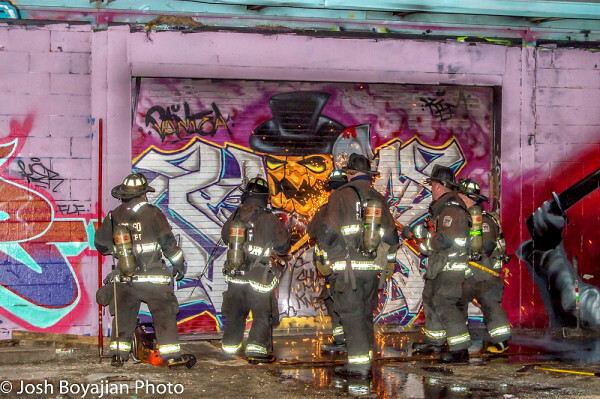 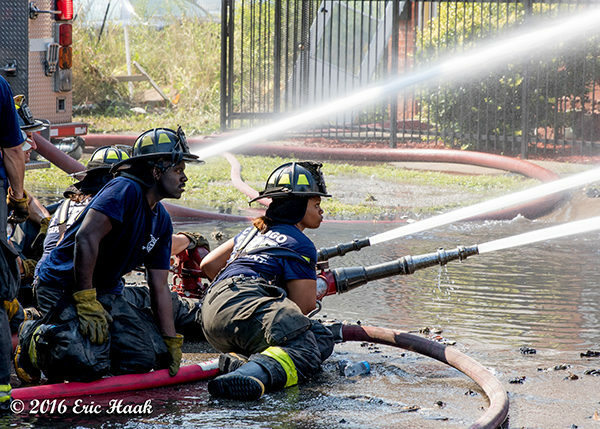 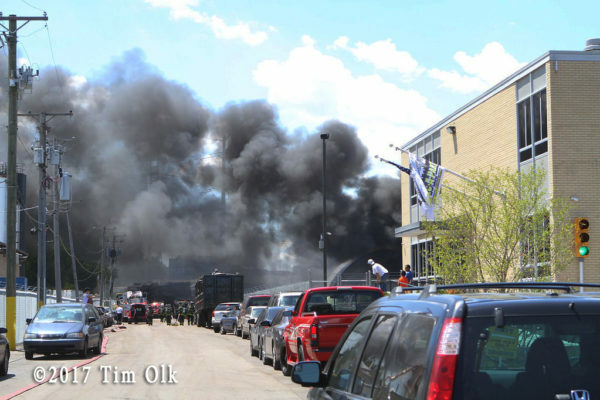 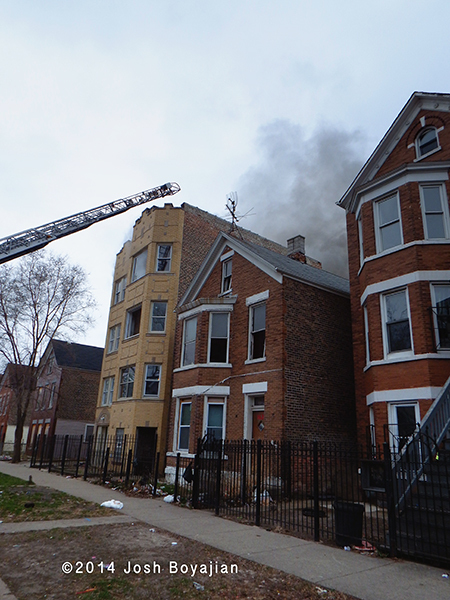 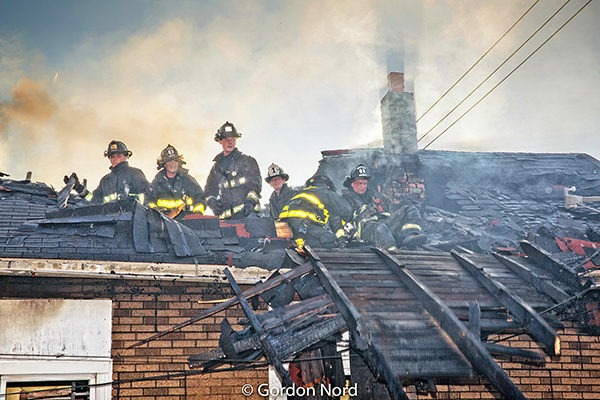 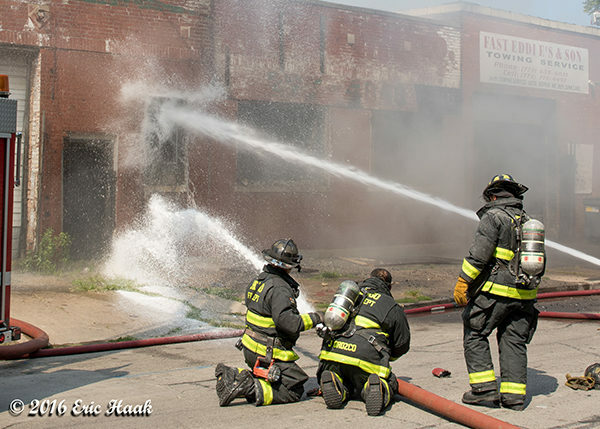 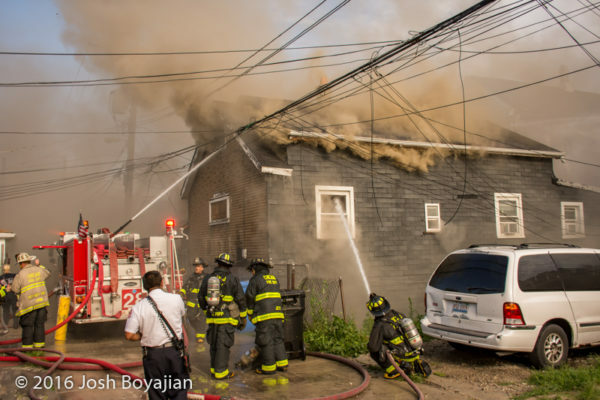 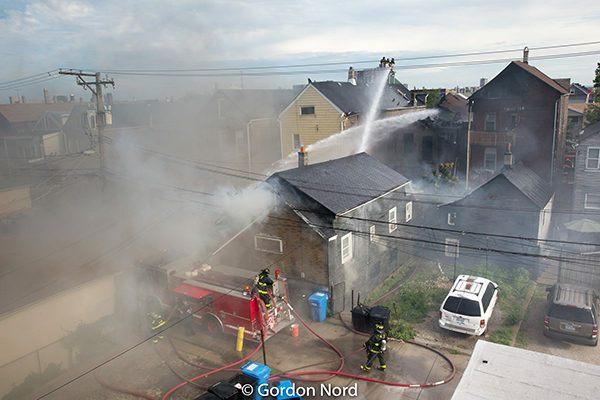 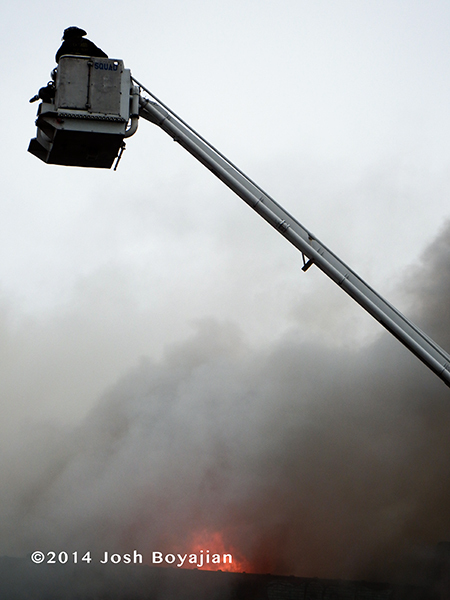 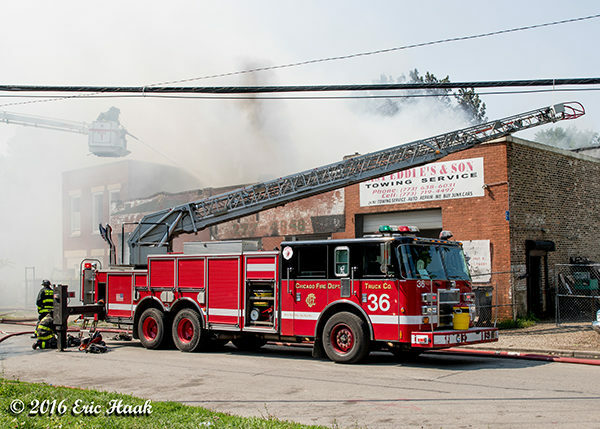 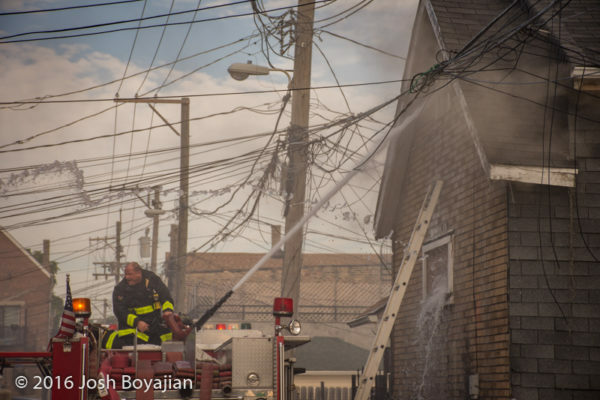 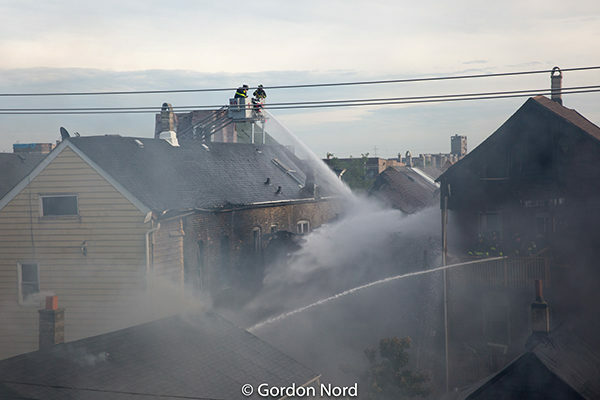 Here are some photos from the 3-11 Alarm fire in Chicago Monday evening at 36th Street & Homan Avenue. 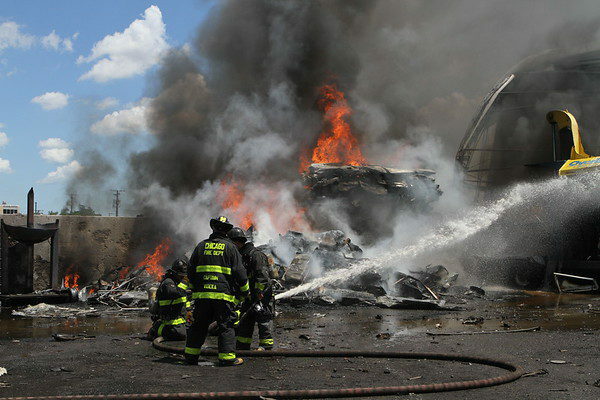 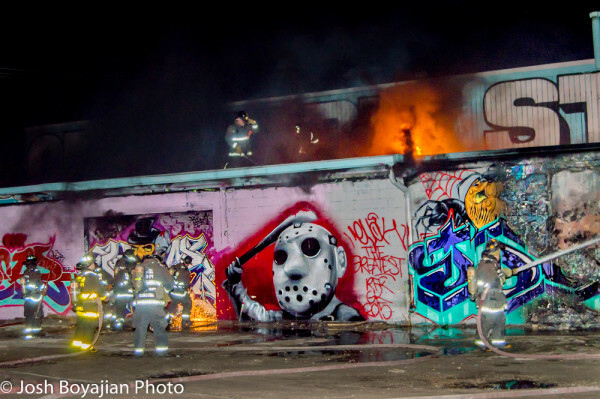 Fire was in a vacant warehouse that had been designated as dangerous with a red ‘X’. 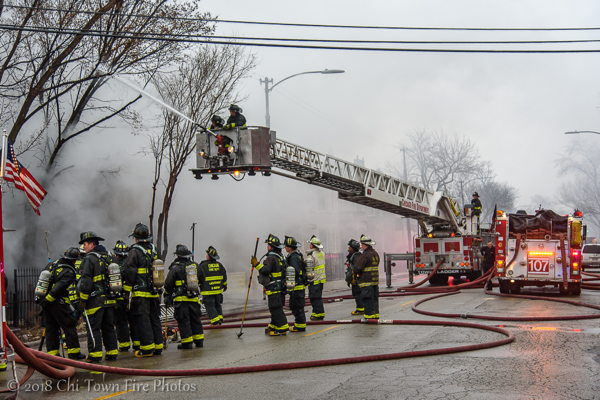 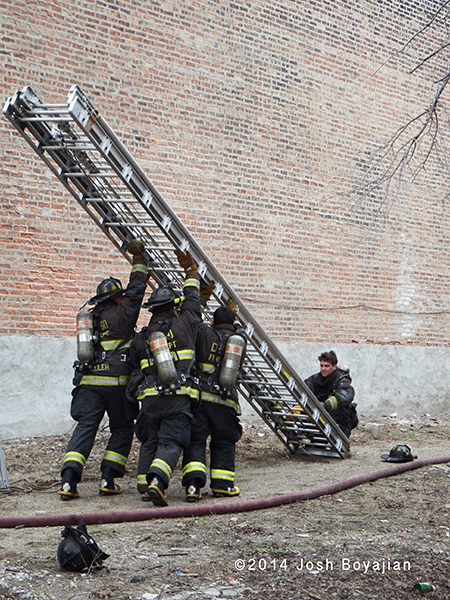 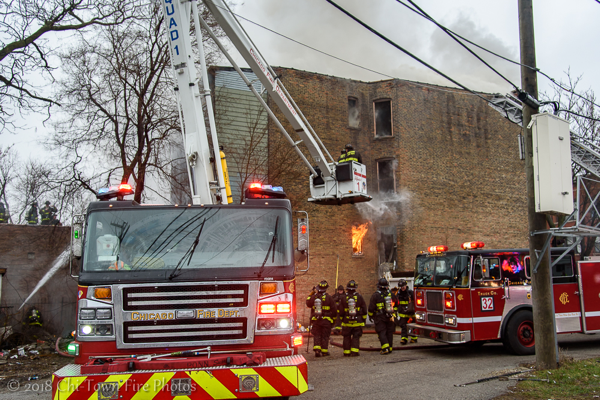 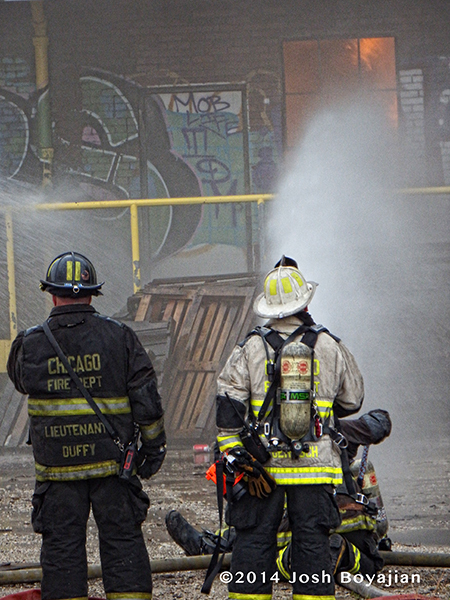 A working fire Sunday afternoon in the 1600 blk of Karlov, Chicago. 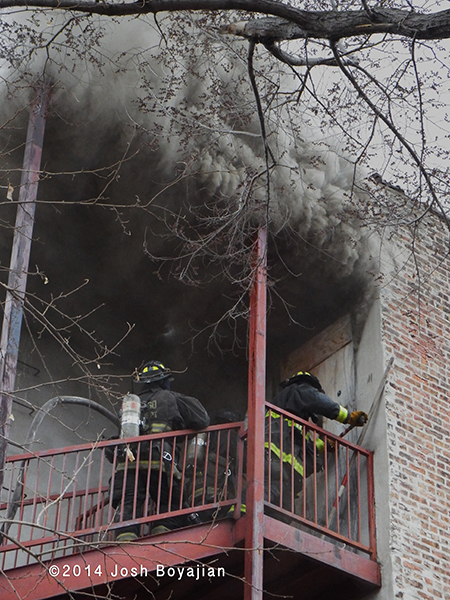 E95 arrived and had smoke showing from the 3rd floor. 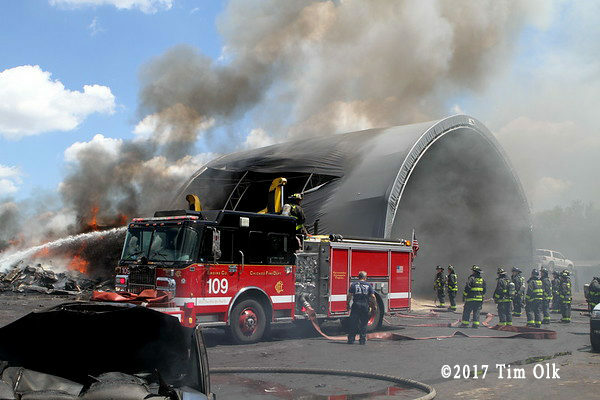 Engines 95 and 109 had lines lead out, Truck 26 had the main to the roof, and Truck 48 threw their banger ladder on the (B) sector. 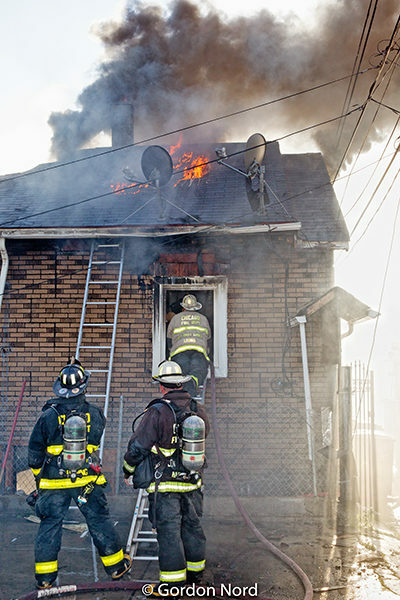 Fire was quickly knocked. 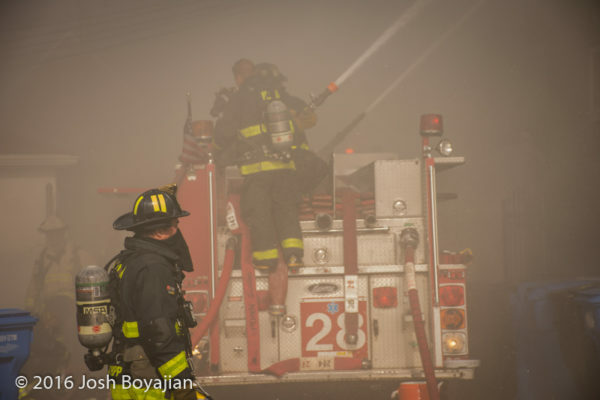 Here are some of my shots.